Not as polished as the previous installments, but, if your kids like Scooby-Doo, they will probably enjoy solving this mystery. 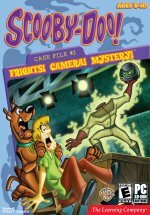 Wussy canine Scooby-Doo and his timid owner Shaggy are hilarious as they reluctantly confront a headless stuntman who is terrorizing a Hollywood movie set. However, the software game isn't as carefully constructed as the previous two titles in the series. Kids join Scooby-Doo and Shaggy along with their faithful friends Fred, Daphne, and Velma, as they arrive in Hollywood to star in a movie. The owner of the movie studio is frantic because most of his employees have quit after being terrorized by the headless stuntman. The studio owner solicits the young detectives' help in solving the mystery of the headless stuntman. Kids direct Scooby and the gang's search through different movie sets and buildings to find people to interview and to hunt for clues. At six locations, kids find games to play. When they win a game, they earn a clue. For example, at one point, the headless stuntman whisks Daphne away and places her in a cage dangling high up on a movie set. To rescue her, kids place ramps, loop-to-loops, and other props in six numbered locations on some scaffolding to enable Scooby to ride a motorcycle through to reach Daphne. The activity allows kids to test their solution by having Scooby try the course. If they are wrong, Scooby crashes with cartoonish explosiveness, but is unhurt. Other clue-providing games include one where Scooby tries to gather Scooby Snacks from seats in a theatre while the headless stuntman chases him. Kids will also play a maze activity, put together a wild west stage set, compete in a multi-level chase game where you have to run, jump, and climb over rigging to avoid being caught, and a match audio clips of the characters you have met to their silhouettes. To move the game forward, you have to find missing movie reels. These reels are difficult to spot and kids may spend a lot of time just cruising the through the movie studio – over and over again. Remind your kids to push the up arrow because some of the reels are only visible when you scroll up, not an obvious choice. Another annoyance is that even on the easiest of the three levels, some of the games can be quite challenging for the intended audience. The controls in the maze game are so sensitive that you frequently run into a wall and end up stalled. Likewise, in the chase game, the headless stuntman is quite fast and may catch you the first several times you play. Since you have to win the game to earn the clue, kids will need perseverance. A positive feature of this game is that you can play it several times with a different result. The game has multiple endings and clues, so replayability is high. It does an excellent job of teaching children how to use a chart to determine which clues apply to which suspects. Also, kids can earn printables to play with away from the computer. 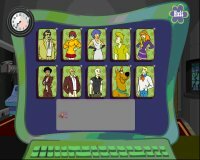 Overall, this game isn't as polished as the previous installments, but, if your kids like Scooby-Doo, they will probably enjoy solving this mystery with him.